We want to hear your Dad’s best, or most embarrassing joke!! For the chance to win a *free meal for 4* at participating Crêpeaffaire stores, like our competition post on our Instagram, Facebook or Twitter page below and comment with your answer. Follow our social pages or join the Crêpeaffaire Club app to ensure you don’t miss any future promotions and competitions! We’ll announce the winner on Thursday midday (UK time) in time for the weekend. Competition Closes Thursday 14th June 2018 at 10.30am. Winner will be chosen at random across Instagram, Facebook and Twitter & notified via the relevant social channel. UK entrants only and must 18 years old+. This promotion is in no way sponsored, endorsed or administered by, or associated with, Facebook/ Instagram/ Twitter. 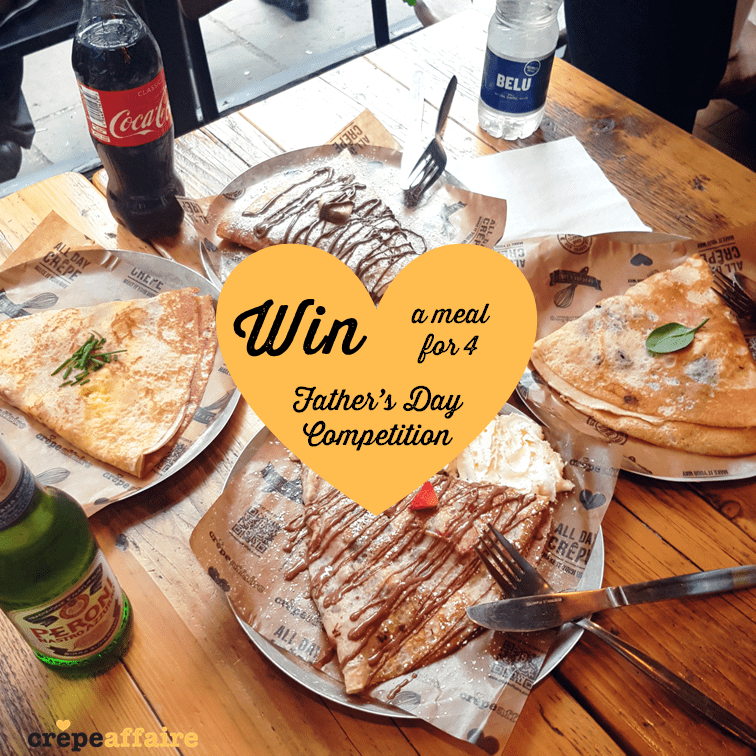 The prize will be a meal for 4 during 1 visit (4 crêpes and 4 soft drinks) at the winner’s nearest participating UK Crêpeaffaire stores. Anyone found to use multiple accounts to enter will be ineligible. Multiple entries in a single day will not be accepted.